The Optimistic Decade by Heather Abel is a literary fiction read that follows a cast of characters at Llamalo, a utopian summer camp out in the Rocky Mountains. Rebecca, a social-conscious college student, has been shipped off to be a counselor instead of getting to work on her family's paper. David, a seventeen year old nobody, has been coming to Llamalo for years, and hopes to move there permanently when he turns eighteen. Caleb, leader of the camp, is trying to maintain order and make everyone feel the same way he does about Llamalo and what it stands for. Don and Donnie, father and son duo and original owners of the land, are struggling with what their ranch has become and how to do something about it. This books is told through the points of view of all these characters. It takes place throughout the Eighties (as flashbacks) and Nineties (as present day) through the Reagan and Bush eras. The flashbacks take the reader back to times like when David and Rebecca were kids, and when Caleb first discovered Llamalo, helping the reader to understand why things are they way they are at present in the story. The Optimistic Decade was very atmospheric and character driven. Not a lot happens, but in this book that works well. I felt transported right into Llamalo, with its hot sun, gorgeous views, and minimalist lifestyle. I really loved both Rebecca and David as characters, and getting to see them each grow individually, as well as build their relationship with one another. I also loved a lot of the minor characters, including Suze and Georgia. It covers a lot of challenging and thoughtful topics, including idealism, flawed leadership, and political activism. The characters in the story think a lot about whether or not their actions make a difference, and there are many eye opening moments for each of them. The writing was beautiful and the novel was well constructed. Overall I really enjoyed this novel, but I was left still wanting something more when it was all said and done. Thanks so much to Algonquin Books for sending me an advanced copy of this perfect summer read! 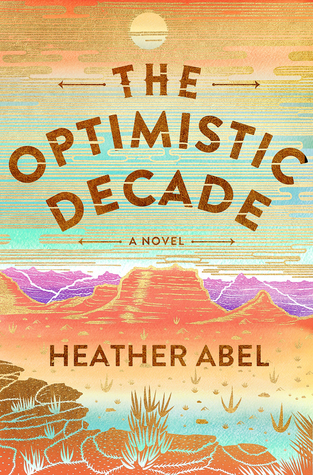 The Optimistic Decade by Heather Abel releases TOMORROW, May 1st, so be sure to pick up a copy! When this appeared in my mailbox, I was immediately captivated. 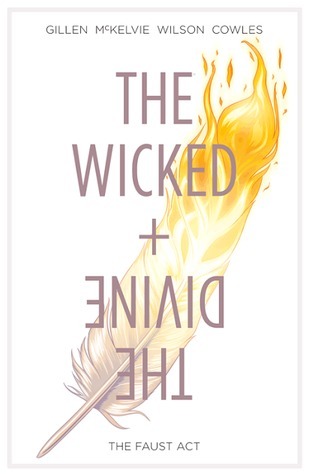 The cover is gorgeous and just drips with magic and intrigue. Reading the synopsis got me even more interested. The Library of Light and Shadow by M.J. Rose is a historical fiction intertwined with magic. Taking place after the first Wold War, the story follows Delphine Dupressi, descendant of La Lune, a famous witch and courtesan. After regaining her sight, Delphine can see people's secrets, and she has turned her gift into an almost parlor trick, painting "shadow portraits" for people on commission and at parties. After a shadow portrait goes wrong, Delphine flees New York and returns to her home in France. Here she hopes to find healing, but instead finds herself knee deep in the hunt for the writings of Nicolas Flamel. It turns out this is actually the third in the Daughters of La Lune series, although it's said that each novel can stand on its own. I found this to be true, at least for this installment, and thought there was plenty of description and explanation that allowed this to be consumed independently of the other two books. I haven't read the other two, but now I'm so interested in the La Lune descendants that I might have to! The writing in this novel was captivating and beautiful, transporting you right into postwar France and New York. I don't typically like historical fiction, as I simply find them boring, but the magic element completely eliminated that here. I adored the cast of characters in this story. Delphine was strong but very human in her insecurities. Emma Calve was an outstanding side character, reminding me so much of Carlotta from Phantom of the Opera. I really enjoyed that so many famous individuals from the same era were characters, including Pablo Picasso himself. I thought the plot was good, although a little slow in the middle. Interspersed in the book are excerpts from Delphine's Book of Hours, where she has chronicled all her time spent with her former lover Mathieu. These were nice to read but I didn't really find them necessary overall until the last few entries. For the most part, the book really lived up to the beauty of the cover. With great writing, strongly developed characters, and a decent plot, I really did enjoy this read. A big thanks to Atria Books for sending me a copy of this beautiful read! 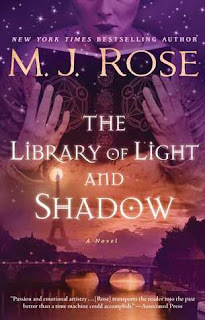 The Library of Light and Shadow by M.J. Rose is available now in paperback, so be sure to pick up a copy! Cute YA contemporaries are always easy, enjoyable reads for me. They take me back to an easier time in my life with full force nostalgia. Can Dreams Come True? 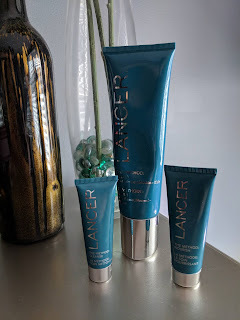 by Krysten Lindsay Hager did exactly that and more. Cecily has always had a huge crush on singer Andrew Holiday and she wants to be an actress, so she tags along when her friend auditions for his new video. However, the director isn’t looking for an actress, but rather the girl next door—and so is Andrew. Cecily gets a part in the video and all of Andrew’s attention on the set. Her friend begins to see red and Cecily’s boyfriend is seeing green—as in major jealousy. A misunderstanding leaves Cecily and her boyfriend on the outs and Andrew hopes to pick up the pieces as he’s looking for someone more stable in his life than the models he’s dated. 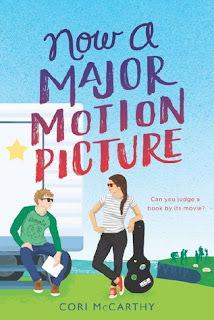 Soon Cecily begins to realize Andrew understands her more than her small-town boyfriend—but can her perfect love match really be her favorite rock star? I really enjoyed this read! First, I really liked that it didn't have the typical absent parent trope that so many YA contemporaries are famous for...Cecily's parents were very involved and very protective of her. The characters were all incredibly relatable, taking me back to my own high school years comprised of best friends, backstabbers, and boyfriend stealers. I do think Cecily was a little naive compared to some of her friends, but I think a lot of that has to do with this being a clean teen novel vs having anything risque or inappropriate in it. Even though Cecily finds herself falling in love with a pop star, this was done in a realistic way. I also appreciate that this is going to be a series! 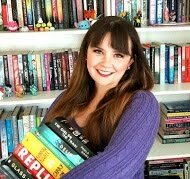 Most YA contemporaries are stand alone novels, which is okay, but sometimes I just want more of a character or storyline. I can't wait to see what happens with Cecily and Andrew in the future! This was cute and fluffy and good as an escape from everyday adult life. I thought it was a little simple for an adult reader, but would be great for middle schoolers and younger high schoolers. It also ended pretty suddenly, but that doesn't bother me as much here as it normally would since I know there is more to come in another book. Krysten Lindsay Hager writes about friendship, self-esteem, fitting in, frenemies, crushes, fame, first loves, and values. She is the author of True Colors, Best Friends...Forever?, Next Door to a Star, Landry in Like, Competing with the Star (The Star Series: Book 2) and Dating the It Guy. True Colors, won the Readers Favorite award for best preteen book and the Dayton Book Expo Bestseller Award for childen/teens. Competing with the Star is a Readers' Favorite Book Award Finalist. Krysten's work has been featured in USA Today, The Flint Journal, the Grand Haven Tribune, the Beavercreek Current, the Bellbrook Times, Springfield News-Sun, Grand Blanc View, Dayton Daily News and on the talk show Living Dayton. Can Dreams Come True? by Krysten Lindsay Hager is out now, so be sure to pick up a copy. Thanks so much to Clean Reads and Neverland Blog Tours for a digital copy of this adorable read. As a Pretty Little Liars superfan, I'm always drawn to Sara Shepard's books. The mystery and intrigue in all her plotlines always have me hooked, and her new adult thriller The Elizas was no different. I want to put a trigger warning for mental illness and suicide on this book before I jump into the review. When Eliza Fontaine is pulled from a pool, her parents and doctors think it's a suicide attempt after an evening of drinking too much. She does have a history of them, after all, both evenings of excessive drinking and suicide attempts. But Eliza swears someone pushed her in. When no one takes her seriously, Eliza decides to investigate her case herself, set on proving that this was not a suicide attempt. But other things are happening to Eliza as well. She's zoning out, not remembering major life details, and acting erratic. Her first novel is set to be published soon, but when her family finds out about it and reads the story, they plead Eliza to stop the publication. But why? This book is half Eliza plot, and half excerpts from Eliza's novel, The Dots, so this almost seems like two stories in one. The Dots follows Dot, a young girl plagued with seizures, and her aunt Dorothy. When The Dots starts to turn dark, Eliza begins to uncover some of that missing information in her life that may connect the fictional Dot and Eliza herself more than she initially thought. This may be one of the hardest book reviews I've ever had to write, simply because the book was such a trip! Also, the way the two plots paralleled it's hard to say too much without spoiling anything. There are a lot of WAIT WHAT moments, in both the Eliza and Dot storylines. It read very quickly, as you bounce between The Dots excerpts and Eliza's own narrative. I absolutely adored Eliza as a character. Her penchant for the morbid and curious reminded me a lot of myself. Her chaotic thoughts were so well written that it was impossible not to get into Eliza's head and feel the same panic and paranoia she experienced. Thanks so much to Atria Books for a digital ARC of this great book! 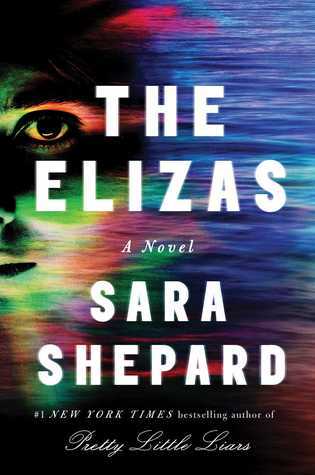 The Elizas by Sara Shepard releases TOMORROW, April 17th, so be sure to pick up a copy! I never turn down adult thrillers, so I jumped at this book as soon as I saw it. 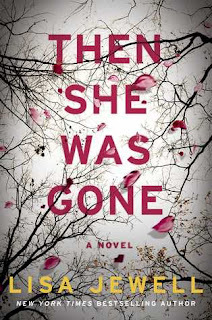 Then She Was Gone by Lisa Jewell is an adult psychological thriller that follows a mom after her daughter disappears, as she tries to simultaneously move on and figure out the events of that fateful day. Ellie Mack disappears at age fifteen without a trace, and shortly afterwards, her family falls apart and her parents divorce. Now ten years later, her mother Laurel is still trying to come to terms with what happened but maintain a life of her own. One day while out in town, Laurel meets Floyd, a gentleman about her age. The two of them hit it off, eventually becoming a couple. When Laurel meets Poppy, Floyd's young daughter, the similarities she sees between Poppy and her missing daughter Ellie are uncanny. But the coincidences and connections don't stop there. Do Poppy and Floyd have something to do with Ellie's disappearance? Even for a thriller, I read this extraordinarily fast. The plot pacing is perfect and you continue to get just enough key information to keep you trekking through without losing steam. The story is told in multiple points of view so you get a lot of insight into each character's thought process, and I thought the characters were well developed for the most part. Without spoiling anything, I will say that some things that happen in this book are pretty disturbing, but I think that is true for most thrillers. It was predictable and easy to figure out, but I think it was supposed to be, since it was more of a gradual release of fairly obvious information versus a big surprise reveal of whodunit. That being said, it was still very enjoyable, and there was a small surprise at the end even still. I've never read any other books by Lisa Jewell, so I don't know if all her thrillers are written like this or not. I do have to note that as someone who is typically let down by the ending of books, I was surprisingly happy with the ending to this! I loved the story itself a lot, and really enjoyed that the way you learn a ton of information explicitly through the story is different from your average thriller. A big thanks to Atria Books for an ARC of this great thriller. Then She Was Gone by Lisa Jewell releases on April 17th, so be sure to pick up a copy! 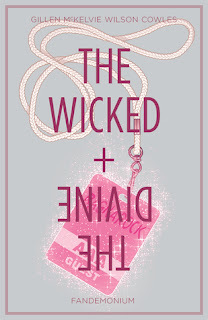 I've mentioned before how I love hard-hitting YA contemporaries, and stories that deal with deeper issues than just the standard "teenage drama." 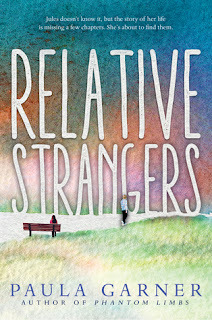 Relative Strangers by Paula Garner was definitely one of those. This story follows Jules, an 18 year old girl who discovers she lived in foster care when she was a baby after looking for old photos for the yearbook. When Jules' alcoholic mother fell off the wagon, Jules went to live with the Margolis family. For almost 2 years, they cared for her and raised her, even hoping to potentially adopt her, until her mother got her back. When Jules discovers this, she seeks out the family, looking to thank them for what they had done for her. First she discovers her foster brother Luke, who is sweet and attractive and clearly missed Jules this whole time. Then she meets the family, who always hoped they would be able to connect with Jules again. But the closer she gets with her old foster family, the more difficult things get between Jules and her mom. And things between Luke and Jules reach a breaking point when confusion about their relationship comes to a head. 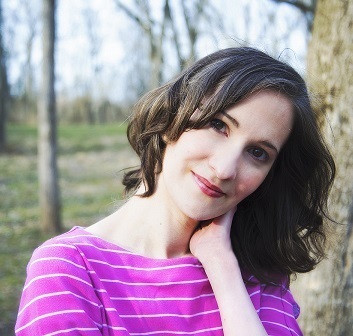 This story is all about loss, forgiveness, and deciding what really matters. I loved all the characters in this story, which is good since it's so character driven! Jules was determined and didn't let her life circumstances get her down. And I'm going to for sure try some of her fantastic Ramen recipes! Leila and Gab were great best friends, and I loved Eli and his passions (writing, obituaries, and his rats). While at first I didn't like Jules' mom, I did start to feel for her and understand where she was coming from as the story progressed, ultimately really appreciating her character by the end. I thought the ending was good closure and left everything in a place that felt right. Overall I was very satisfied. What did bother me was the relationship between Luke and Jules. How she felt about him really rubbed me the wrong way, and I didn't like that all her friends made it seem completely normal that she fell in love with someone who was once her foster brother. I thought this story would have been just as strong without that semi-incestual relationship thrown in. The dynamics between Jules and her mother, foster brother (as just a brother), foster parents, and friends would have been enough to drive the emotion home. This is the only reason I took off a star. A huge thanks to Candlewick Press for an ARC of this great read! 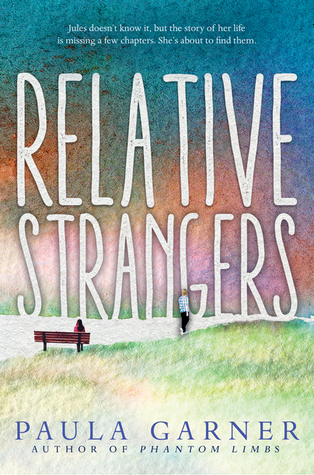 Relative Strangers by Paula Garner releases TOMORROW, April 10, so be sure to pick up a copy! I posted this on my Twitter, but I've been in a reading slump lately and have turned to comics and graphic novels in an attempt to overcome it. 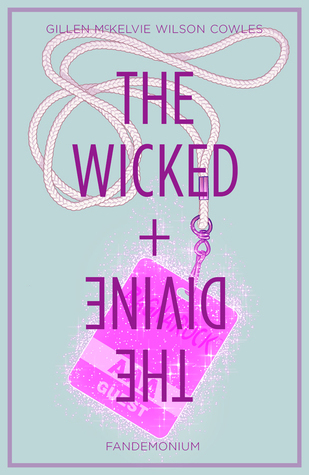 One series I've picked up recently is The Wicked + The Divine created by Kieron Gillen and Jamie McKelvie. I've heard a lot of hype about this series and have been intrigued for a while, and now that I've read a couple of volumes I can totally see why! Even though I have only read the first two collected volumes (The Faust Act and Fandemonium) I can tell this is a series I will continue to enjoy (and as such have bought more of the series to get around to ASAP). 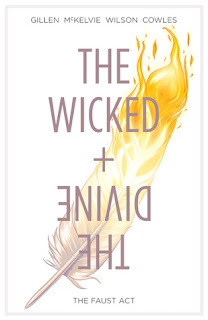 The Wicked + The Divine is all about twelve gods (including Lucifer, Baphomet, Amaterasu, and more) who come to earth every 90 years incarnated as humans. But they're not just any humans, they become pop stars. They are both fanatically loved and deeply hated, but in two years or less they die. Again, I can only speak to the first two volumes, and I can't say too much without spoiling anything, but I absolutely love the characters so far. Lucifer is phenomenal, with an attitude and swag I can only aspire to have. Laura's loyalty is fierce and unwavering. Baal is just plain hot. I loved seeing the personalities of all the different gods. One thing to note is that there are a LOT of characters, which can sometimes get a little confusing. It does get easier the more you read since you start to see the same characters over and over again and they all get more developed storylines. There's a mystery element that begins in the first story, so in addition to learning about the gods and the history of their incarnations, you also get to try to figure out a little whodunnit along the way. I love that there's both internal and external dialogue. And the artwork is just GORGEOUS. It's colorful and vivid and everything I want in a comic. The panels were easy to follow and the font was completely legible. I really like the simplicity of the covers, and the way the chosen images describe just enough about the volume without putting everything out there right on the front. The covers also gradually darken from white through the various shades of gray from volume to volume. I'll be sure to post continued reviews of this series as I make my way through the various collected volumes. There are 6 currently, with a 7th set to come out this fall. I don't even know where to begin with this book, simply because it was just THAT GOOD. Now A Major Motion Picture by Cori McCarthy is technically a contemporary, but the plot centers around a fantasy novel becoming a film. Iris Thorne's grandmother is famous for writing a series of high-fantasy novels called Elementia. Now, Elementia is being made into a film, and Iris and her father aren't too pleased. See, Elementia is what tore their family apart, after a crazed fan tried to kidnap Iris's little brother Ryder. When Iris and her brother end up visiting the film set in Ireland, Iris would love nothing more for the film to fail. She doesn't want her family's life to be in the public eye, and she knows that no matter what happens with this film, blockbuster or bust, that's going to happen. In her eyes, the only way to stop this is for the film to never make it to the cutting room floor. But the longer Iris sticks around, the more she gets to know the cast and crew (and one cute Irish boy in particular), and her opinion of the movie, and Elementia in general, starts to shift. Throw in a terrible relationship with her father, the feeling of being the sole person responsible for her little brother, and the desire to pursue a passion that terrifies her, and you have an outstanding coming of age story. But it doesn't stop there. The world of Elementia is fantastic, and you get to see a lot of that in this story as well through film dialogue and snippets from the books themselves. I just can't rave about this book enough. The contemporary aspect was spot on, but it was blended so well with the fantasy world it centered around that it was made even better. I loved every character in this story (except for Iris's father...but you're supposed to dislike him). Iris was headstrong and determined, but she had a fear inside her that a lot of us can relate to. Ryder was such a cute kid, even though he threw tantrums a lot, he had a good heart and was incredibly brave after all he had been through. Eamon was a big bag of sugar concealed in an Irishman's body, and Shoshanna and Julian were great minor characters as well. Cate was the role model that all teenage girls need, pushing and motivating while standing back and letting people figure out things for themselves. This book also tackled so many issues in a way that was far from preachy. It was definitely big on feminism, since the Elementia books themselves were focused heavily on a powerful female protagonist. It covered sexism, racism, and sexual orientation discrimination in the film industry. It also revealed the dark side of fandoms, and how being obsessed with a fictional world can sometimes cause people to do extreme and scary things. Personally, I loved that how in the author's note we discover that the Elementia series actually does exist, and that it was Cori McCarthy's own feminist response to Tolkien. Personally I would love to get to read the actual Elementia stories that were the focus of this novel. This was pretty long (around 400 pages), which is unusual for a contemporary, but I flew through it and honestly wish it had been even longer. This is definitely going on my list of favorite books of 2018, and actually, maybe ever. Thanks so much to Sourcebooks Fire for sending me a copy of this phenomenal read. Now A Major Motion Picture by Cori McCarthy releases TOMORROW so be sure to pick it up and see for yourself just how wonderful this story is. Mandi has read 1 book toward her goal of 75 books.